Obviously there would have been no Presidential open-top motorcade and Lee Harvey Oswald – or the Mafia, or the man on the grassy knoll, or the four French hired assassins from Marseilles, or whatever other conspiracy theory you subscribe to – would have been denied the opportunity to demonstrate his or their peerless marksmanship and John Fitzgerald Kennedy, 35th President of the United States of America, would probably have seen out his first term and been re-elected in November 1964. JFK was originally elected with just over 49% of the popular vote in the 1960 race for the White House with Richard Nixon. While in office his popularity rarely dipped below 60%. After the Cuban missile crisis his ratings were in the high 70s. In a poll of 1960 voters taken after his death 70% claimed to have chosen him as President. Of course there’s another great ‘what if’ when it comes to the career of John F.Kennedy. 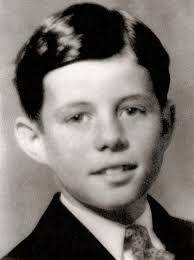 What if his older brother Joseph Kennedy Jr, had survived World War 2? Would John F have become Bobby, his older sibling’s loyal Doberman, rather than Senator and President? He was arguably, the first conscious political ‘brand’. With iconographers like Theodore Sorenson and Pierre Salinger cultivating and honing the Kennedy narrative he could hardly fail. Fifty years later he is a mythic figure. Myth=branding + time. But the skein of myth is easily unravelled. For example, he wasn’t even the youngest American president. When Theodore Roosevelt took over the office after the assassination of William McKinley in 1901 he was nine months younger than Kennedy. And his credentials as a supposed political progressive don’t stand up to too much examination. In 1957 he opposed Eisenhower’s civil rights legislation. He persisted, when in office, with the Democratic party practice of appointing dodgy judges to federal courts in the south. One such JFK appointee, a man called Harold Cox, once described African Americans as ‘chimpanzees’ after he had been elevated to the federal bench. During his first term as a senator Kennedy teamed up with the darling of the Republican right, Barry Goldwater, to try and keep rock and roll music off American radio stations. He presided over the assassination of a supposed ally (and fellow Catholic) in Ngo Dinh Diem, beleaguered president of South Vietnam. Take just one month of his Presidency – June 1963. On June 10 this apparent cold war warrior made a major foreign policy speech at the American University in Washington DC. In a world dominated by ideas of mutually assured destruction he appeared to extend an olive branch to the Russians. The following day, after Governor George Wallace of Alabama was forced by Federal intervention to, quite literally, step aside and allow two African American students pass into the campus of the University of Alabama, Kennedy made a largely improvised address on national radio and TV, promising equal access to public schools and enhanced voting rights, to African American citizens. Then on 26 June he made his famous ‘Ich bin ein Berliner’ speech (the ‘ein’ was superfluous) a short time after viewing the newly erected Berlin wall. Oh, yes, and, of course, he dropped into Ireland for four days on his way home. Not a bad month’s work really. 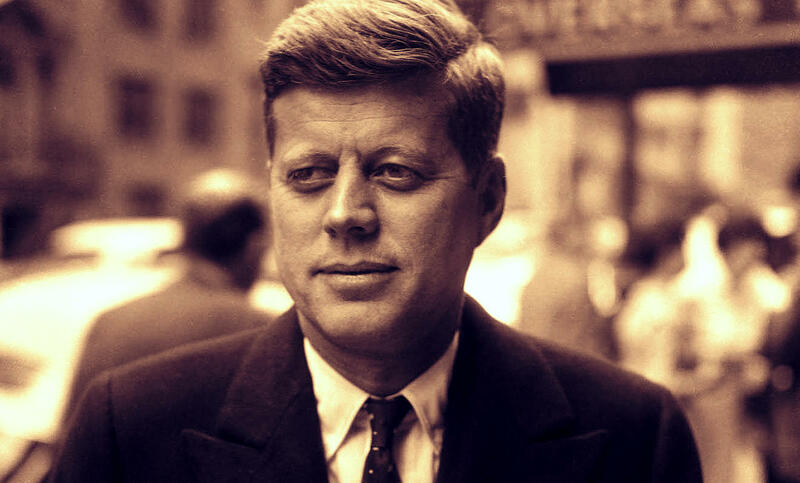 John Fitzgerald Kennedy, 35th President of the USA, was born 98 years ago, on this day. She didn’t have a lot of time for Jane Austen, she earned more money from her books than did the Queen of Irony during her lifetime. She was a frequent correspondent of Sir Walter Scott, another celebrated contemporary. 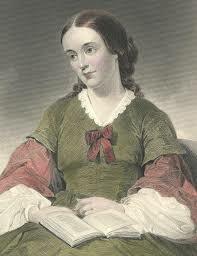 She was also hugely important in the development of the novel and of children’s writing. Not bad for a woman who spent much of her life in rural Longford. 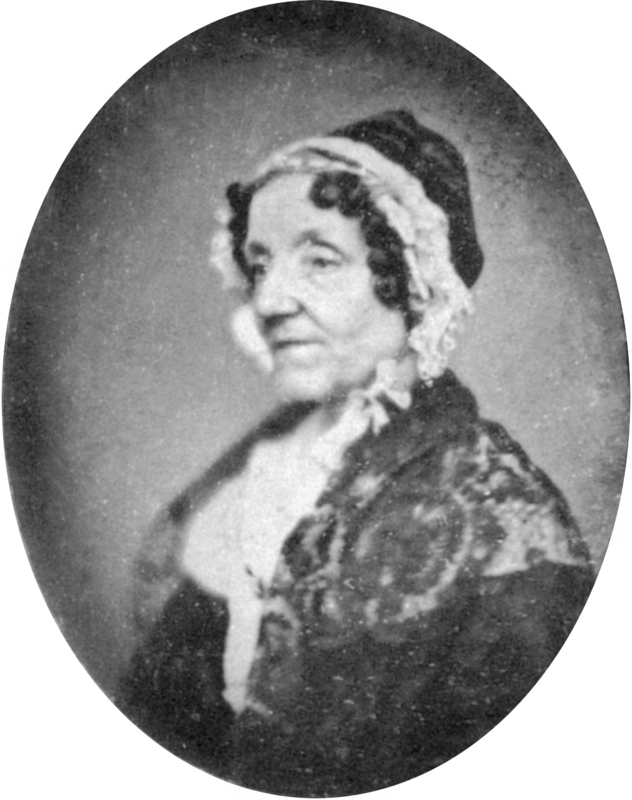 Maria Edgeworth, although seen as an Irish novelist, was actually born in England, the second of 22 children of her father Richard Lovell Edgeworth, who was married four times. She moved to Ireland with her father at the age of five, after the death of her mother. She spent much of her teenage years looking after her younger siblings and was, essentially, educated by her father whom she also assisted in managing the family estate at Edgeworthstown. Her father was a huge influence, some would say far too great an influence, on her writing. She claimed to have written only to please him. 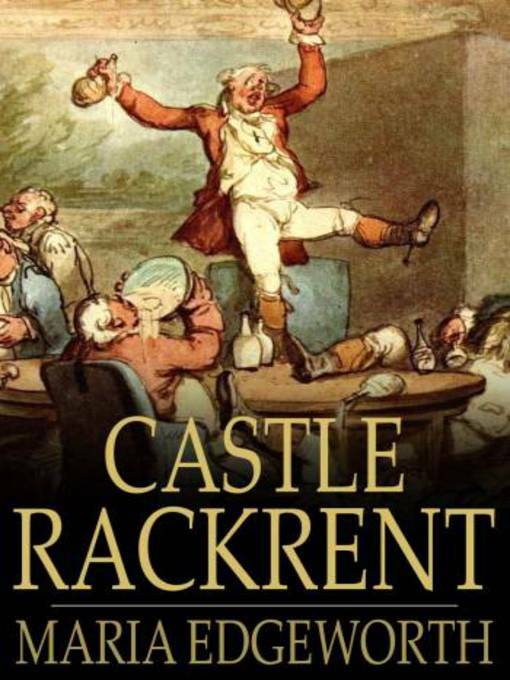 Castle Rackrent, her first novel, published in 1800 was an instant success. Narrated by an employee of the Rackrents, Thady Quirk, it predicts the rise of the Catholic middle class. The novel, actually not much more than a novella, brought her to the attention of Sir Walter Scott. The two writers became friends and visited each other in Ireland and Scotland. Such was the nature of her writing that in 1798, after the defeat of the French invasion in the west of Ireland the windows of Edgeworth House were stoned because the family was suspected of having radical sympathies. In fact Edgeworth was a supporter of the Union, but also an advocate of Catholic Emancipation. While Jane Austen was a great fan of Edgeworth’s the admiration was not entirely mutual. Austen sent Edgeworth a presentation copy of Emma in 1816. Edgeworth was not impressed with a novel that now ranks behind only Pride and Prejudice as Austen’s greatest achievement. The gift went unacknowledged and Edgeworth wrote to a friend about Emma that ‘It has no story’. She wrote little from the 1820s onwards, concentrating on the management of the family estate. Then, in 1845, when she was in her late 70s the disaster of the Great Famine struck. Unlike many other landlords, who adopted a callous attitude to their starving tenants, Edgeworth was one of those who worked selflessly for her tenants. With her own money she purchased food from the USA which was distributed amongst her tenantry and others. The Edgeworth’s estate barely avoided bankruptcy and being purchased by carpetbaggers under the terms of the Encumbered Estates Act. Her compassion has, however, been somewhat exaggerated as her charity only extended as far as tenants who had paid their rent. Maria Edgeworth, educationalist, farm manager, essayist and novelist, died 166 years ago, on this day. So goes one of the best known songs in the Irish traditional canon, although it was written many years after the events that chorus describe. To suggest that Wicklow chieftain Fiach McHugh O’Byrne was a thorn in the side of the Tudor dynasty in Ireland would be to exaggerate hugely the impact of a thorn. O’Byrne was nuisance and nemesis rolled together. He was born in 1534 and became chieftain of the O’Byrne clan in his mid forties. One of the main reasons why he was so little beloved of British administrators in Ireland was because of his geographical proximity to the Pale. Whenever O’Byrne chose to do so he didn’t have far to go to bite off a piece of Tudor Dublin. And he chose to do so on a regular basis. Retaliating against him was not quite as straightforward. There was no M11 or GPS in the 1500s so the Tudor armies sent against him had to make do with whatever tracks they could find and had to waste many frustrating days searching in vain for Fiach. When Red Hugh O’Donnell and Art O’Neill made their celebrated escape from Dublin Castle in 1592 it was to Glenmalure, O’Byrne’s main redoubt, that they headed. Art O’Neill didn’t make it but a frostbitten Hugh O’Donnell did. O’Byrne sheltered him and sent him back to his people in Donegal, from where he made quite a nuisance of himself, along with Hugh O’Neill in the Nine Years War. O’Byrne also made himself useful with the Earls of Kildare, who often had an ambiguous relationship with the English crown. Fiach once peremptorily hanged an important witness to a threatening government investigation into the affairs of Gerald Fitzgerald, 11th Earl of Kildare. Bumping off hostile witnesses didn’t start with the Mafia. 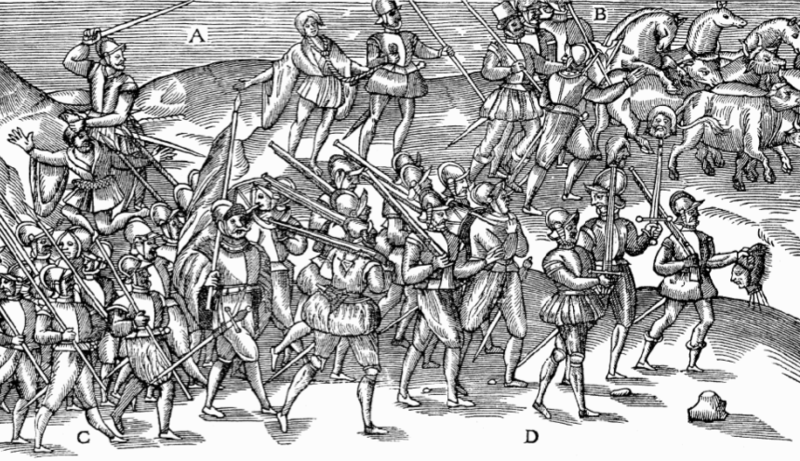 In 1580, during the Desmond rebellion the Lord Lieutenant, Lord Grey, led an army against the O’Byrnes. His plan was to attack Glenmalure. Like many a good plan brought to bear against Fiach it failed miserably and Grey was forced to withdraw to Dublin with serious losses. The Battle of Glenmalure was O’Byrne’s greatest triumph against the forces of Queen Elizabeth 1. Sadly, Fiach came to a bad end in 1597. He threw in his lot with O’Neill and O’Donnell in the Nine Years War – in an engagement with English troops, assisted by some renegade members of his own clan, Fiach was captured and summarily beheaded with his own sword. His body was then cut up, and the head and quarters were hung on pikes on the Dublin Castle walls ‘pour encourager les autres’. Later his head was pickled and brought to London. A sad end for a redoubtable enemy of Tudor England. Fiach McHugh O’Byrne, one of the last great Gaelic chieftains, died 418 years ago on this day. When your entire family, a husband and four children, die from yellow fever and then your business is destroyed in the Great Chicago fire you might be tempted to just give up. 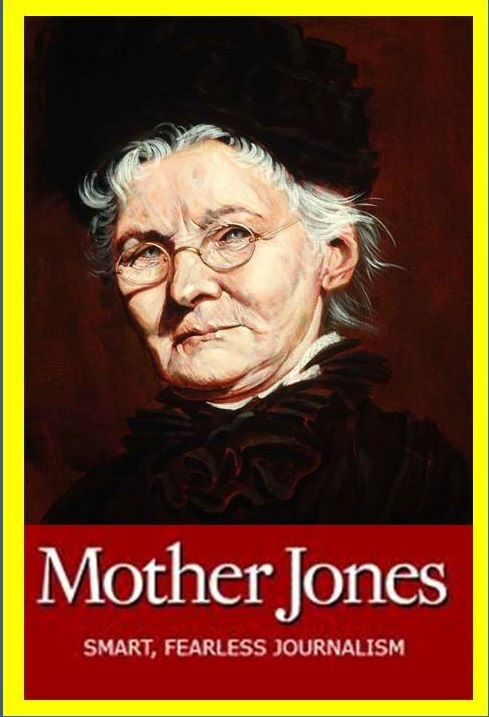 But not Mary Harris Jones, who instead, went on from extreme adversity to become ‘Mother Jones’ ‘the most dangerous woman in America’. That, at least, was how American mine owners saw her and she gave them good cause for their animosity. Mary Harris was born in Cork City in 1837 emigrating to Canada with her family as a teenager. Later, as a qualified teacher, she moved to the USA and married George Jones, a union organizer, in Memphis, Tennessee. There she abandoned teaching and became a dressmaker. It was in Memphis that she lost her family to disease. All her children were under five years of age. After that unthinkable tragedy she moved to Chicago and established a dress making business there. In 1871 a huge fire that killed 300 people and destroyed 9 square kilometres of the city took her business and her house with it. After that she threw in her lot with organized labour and some of the most iconic unions in American history, the United Mine Workers, the Knights of Labour and the Industrial Workers of the Worker, better known as the Wobblies. Given her personal trauma her philosophy and personal motto ‘pray for the dead, and fight like hell for the living’ is particularly poignant. She travelled the USA organizing, speaking and motivating workers and their families to take action to improve their lot. 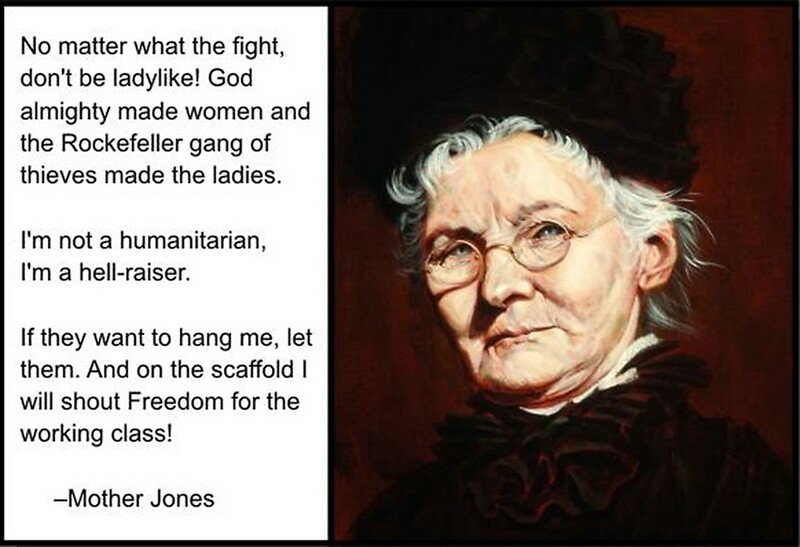 You might well have expected a female radical like Mother Jones to be a suffragist, but she wasn’t. She was opposed to votes for women or female participation in politics. Her philosophy was “You don’t need the vote to raise hell!”. She was of the opinion that men should earn sufficient money to allow their wives to bring up children. Equally unusually she claimed to be considerably older than she actually was, possibly in the interests of self protection, hence the nickname ‘Mother’ Jones. She became so influential that, in the case of a mining strike in Colorado she was able to force the infamous ‘robber baron’ John D. Rockefeller into a face to face meeting and extract significant concessions from him on behalf of the moners. Mary Harris ‘Mother Jones’, labour activist and champion of the working man was born 178 years ago on what, appropriately, has become International Labour Day.